In one of the many wonderful essays she wrote throughout her life, the British writer Virginia Woolf turned her attention to the United States of America. There was just one tiny problem; she had never been there before. Instead, she transformed the noun “Imagination” into a proper noun and had her fly over to this mysterious continent and report back with her findings. In doing so, Woolf became one of many writers who have used their imaginations, rather than their memories, to conjure up physical locations in the minds of their readers. There were some who went even further and invented entirely imaginary places; In Invisible Cities (1972), for instance, Italo Calvino dedicated an entire novel to descriptions of 55 fictitious cities, and in René Daumal’s posthumously published work, Mount Analogue (1959), the main character goes in search of a fabled mountain whose peak bridges the gap between the earth and the heavens. A copy of this book sits on Ayami Awazuhara’s desk and has been vigorously thumbed through by the artist. 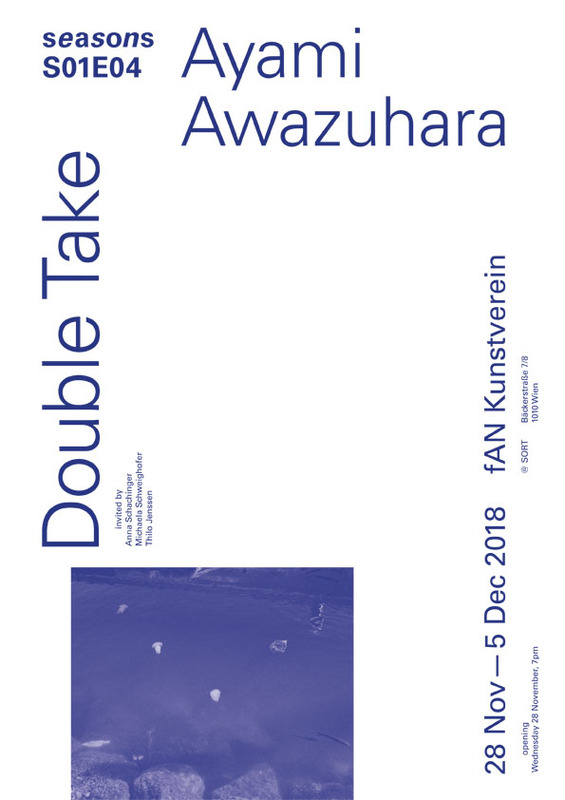 Daumal was the first writer to use the word “peradam” to mean “an object that is only revealed to those who seek it”, which is fitting because – particularly in her sculptural and text-based works – much of Awazuhara’s practice requires an act of good faith by its audience. Or, in other words, they have to want to believe in something before they can hope to discover it. Her series Landscape Charts (2017), for example, uses text – “stream, evergreen, pebble” – to graphically create images in the vein of concrete poetry, but require the audience’s imagination to be fully completed. Awazuhara is interested in “how to tell stories” but ones which “you [can] imagine by yourself”. The pieces might look minimal, anti-visual even, but at its core the series is about our limitless potential to create images in our mind’s eye. Like Woolf, Awazuhara is interested in how to imagine a landscape that either herself or the viewer has never seen before. In previous works, such as Possible Woods (2016), a room-sized installation of green metal and wool, that fabricated place was a jungle, but for her exhibition at fAN Kunstverein, Awazuhara recreates arctic landscape. Through limited means – a box, blue plastic, bits of metal, tape, the glow of a projected film – she suggests a path our eyes could take. It’s up to us whether or not we want to follow.